Some impressions of the UERM from the $99 vs $999 challenge, an experiment set up by several members of Head-Fi to see whether a $99 (on sale) Ultimate Ears Triple.Fi 10 modified by Rin Choi could get close to or match the performance of a universal demo of the $999 Ultimate Ears Reference Monitor. For more info, check out the Head-Fi thread here. My thoughts on the modified TF10, the main part of the experiment, can be found on Head-Fi here. Below are just some short impressions of the universal/demo UERM. Big thanks to eke2k6, james444, Rin, and everyone else who made this tour happen! First impression – “man, the UERM demo unit is huge”. It’s bigger than all of the custom demos I’ve tried in the past, including those from Unique Melody, Rooth, Westone, Altec Lansing, and so on. It’s also larger than all of the custom-come-universal units I have, such as the FitEar TG334 and InEar StageDiver SD-3. Surprisingly it’s not less comfortable than a Triple.Fi 10 once fitted (should be noted that I’ve never liked the fussy fit of the TF10), and sounds pretty darn good. As far as universal demos go, the best I’ve heard previously was the Rooth LS-X5 hybrid, but I think this universalized UERM might be better. Its sound is a little warmer than I expected but otherwise falls right in line with what I figured it would sound like – punchy and clear, with good treble energy and a spacious presentation. Tuned in collaboration with recording artists and studio engineers, the UERM is billed as a hallmark of accuracy. I figured it would be a good match for some of my more accurate custom monitors and performed some A:B comparisons. Keep in mind that this is a universalized UERM unit. In my experience, a full-shell custom can differ a little or a lot from a universal Demo. In this case I would bank on “a little” just based on the demo unit’s performance, but who knows. The Miracle is a balanced earphone but has a laid-back and very slightly v-shaped signature. Compared to the Miracle, the UERM has more forward mids and a brighter overall tone. The treble of the UERM is a touch more metallic-sounding but the unit sometimes seems clearer than the Miracle as a result of its treble emphasis and greater midrange presence. The Miracle sounds a little more refined overall. It has less midrange emphasis but generally keeps up with the UERM in clarity. Its presentation is a little more laid-back and it seems slightly more spacious overall. Most noticeably, the smoother treble of the Miracle is more tolerant of harshness and sibilance, and arguably makes the earphones a touch more natural tonally. Hidition’s reference monitor, the NT 6 is a brighter-sounding earphone with lots of aces up its sleeves. It is brighter than the UERM and a touch thinner-sounding as well. As a result, the Hidition unit seems a little clearer and more resolving. However, its triple bass drivers also provide a low end that’s more natural and filled-in. The low end of the NT 6 is more textured and deeper (although perhaps bass depth would be better with the full-shell contact of a custom UERM). In comparison, the bass of the universal UERM sounds a little hollow, albeit not lacking in punch. The tone of the UERM is warmer and the mids are a little fuller and more fluid. The treble of the NT 6 is a little smoother but very similar overall until the spike at ~10k, which is what gives the NT 6 its bright character. Happily, the NT 6 is smooth in the sibilance-prone region below ~8k and overall it still comes across as sounding a touch more natural despite its brighter tone. The JH13 is my favorite custom monitor but admittedly the universal UERM isn’t too far behind in overall performance. The signatures of these earphones aren’t too different – there is greater variation in soundstage and note presentation, with the UERM sounding a little more smoothed-over and “fluid” and the JH13 being more transparent and “raw”. Overall, I thought the JH13 was clearer and more natural than the UERM, especially in the midrange. The UERM is smoother and tends to gloss over fine texture a bit in comparison. This continued up into the treble, where the UERM is actually a touch more forgiving of sibilance than the JH13. The largest difference, however, is in the presentation, where the UERM sounds more laid-back and out-of-the-head while the JH13 is more three-dimensional, with better depth allowing for more realistic portrayal of intimate, forward soundscapes and more convincing imaging. The V6-Stage is the newest flagship from Portland, OR-based 1964EARS. Signature-wise the V6-Stage is not very different from the UERM and performance is really a toss-up as well. The earphones have similar clarity with perhaps a slight advantage going to the V6 due to its thinner note presentation. As with the NT 6 comparison, the UERM has a bit more mid-bass than the V6-Stage for a fuller sound and again sounds smoother overall, partly because of the lushness afforded by its warmer signature. It is smoother up top, as well, with the V6-Stage being more prone to sibilance. On the whole, however, these two earphones are remarkably close in performance despite the price difference between them. The quad-driver, silicone-shelled Noble is different from my other “reference” custom IEMs in that its sound is more mid-centric. Sets like the JH13, UERM, V6-Stage, and even the Miracle tend to have more impactful bass and stronger, more energetic treble than the Noble. The 4S, on the other hand, almost reminds me of a HiFiMan product in the way it presents a neutral signature in a more mid-centric way. It sounds very flat, with less bass compared to the UERM and a more neutral tone. It’s an amazingly smooth earphone that makes the UERM seem a little peaky in the treble region. Tonally, the 4S makes the UERM sound colored – no small feat by any means. In comparison to the more level Noble, the UE Reference Monitor has a warmer, bassier sound and added treble energy. This one was a disappointment. I wasn’t expecting great things from the UE 900 compared to one of UE’s flagship customs, but even Rin’s modified TF10 held up much better than this. Frankly, next to the UERM, the UE 900 – a pretty decent earphone on its own – sounded like crap. Overall clarity was nowhere near the UERM and the bass sounded boomy and unrefined. The only thing the UE 900 had going for it here was good bass extension. The upper mids, which I’ve always thought were dull and lacking in energy on the UE 900, seem especially veiled next to the UERM. The UERM is flatter through the midrange and sounds much more transparent as a result. The midrange, and vocals especially, come through much clearer. 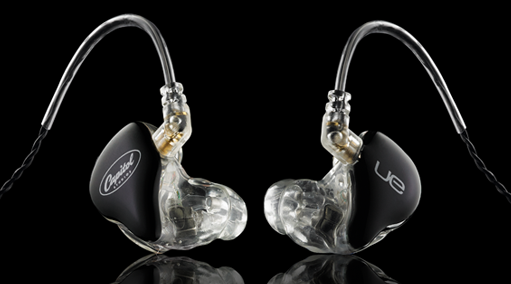 The UE 900 gets better from there – the treble and presentation really aren’t bad at all, but there is just no comparing these two in overall realism. This is probably on of the worst reviews on IEM’s I have ever read. Sophomoric to say the least. It’s probably the reason there are no comments here. Unless of course they were all negative towards this review and have been deleted. First off you state “…could get close to or match the performance of a universal demo of the $999 Ultimate Ears Reference Monitor.” Then later in the review you state “I wasn’t expecting great things from the UE 900 compared to one of UE’s flagship customs” So which were you reviewing, universals or customs? What kind of music was being listened to, and through what systems? With comments like “In my experience, a full-shell custom can differ a little or a lot from a universal Demo. In this case I would bank on “a little” just based on the demo unit’s performance, but who knows.”, How can you expect to be taken seriously? That’s not an informed review, it’s a guess. All I know, is that this review is inconsistent with the more in-depth reviews I have read. Out of curiosity, did you track/mix/master with the listed IEM’s? And then check see how well the recordings translated on various systems? That is the purpose of the UERM’s. How about front of house (FOH) mixing in a club or other venue setting? Again, that’s what the UERM’s were designed to do. They are garbage in, garbage out. They were not designed to flatter music that was recorded poorly. No hyped bass, mids. or highs. Better luck next time guys.